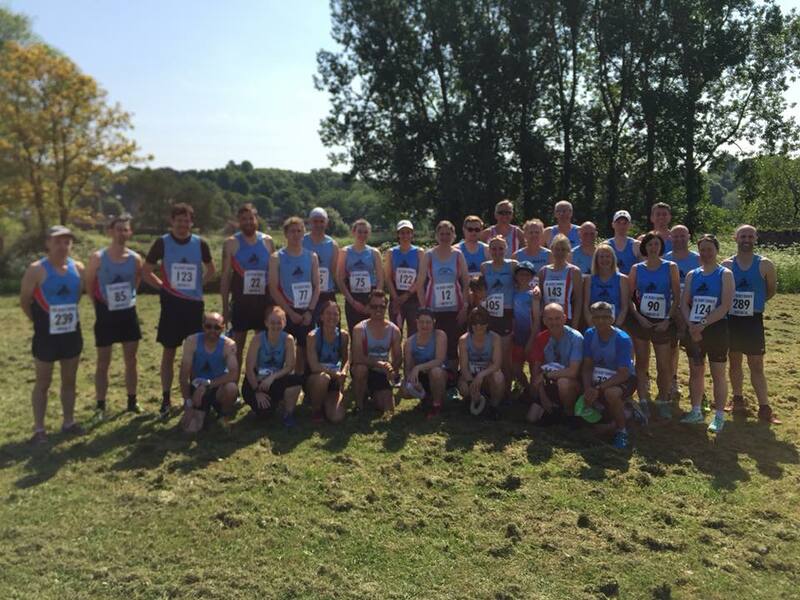 The latest Burton League race, the Burton 10 mile saw a fantastic turnout of 32 blue vested runners, 12 of whom ran their debut at this distance. Newcomer Shaun Coulton proved himself an asset to the club by finishing first man for Ivanhoe, in 12th place with a swift 1:04:12. On his heels, Craig Hinds finished in 1:05:39, then Matt Pleass in 1:07:03. Matt Brocklehurst came in next (1:09:52), then Alistair Burgwin in 1:10:22 knocking an impressive 4 minutes of his personal best. Also with a new PB, James Cox with 1:12:35, then Andrew Stanley with 1:13:32, pushing just ahead of Mark Bradford in 1:13:38. Kev Brown (1:14:40) was just 2 seconds in front of Patrick Horn (1:14:42). First Lady back was Lucy McDermott in an excellent 1:15:34, ahead of Chris Osbourne in 1:18:34. A group of Ivanhoe runners came in together led by second lady for the club Emily Wideman (1:19:00), then Jordan Cope (1:19:01), Damon Bland (1:19:09), and Karl Smith with an impressive new PB (1:19:35). Fiona Betts found it tough but still managed 1:20:42, ahead of Richard Bebbington in 1:21:00 and Sophie Cooper in 1:21:31. Next over the line was Matt Joyce in 1:22:15 Kev Laz in 1:24:02 and Ladies Captain Victoria Smith (1:25:11). Fresh from her 20 mile race the day before Julie Taylor ran another strong time of 1:26:19. Mukesh Deva and Richard Trevelyan were next in with 1:27:39 and 1:27:45, then Karen Hartland with 1:28:14. Lucy Allsop continued her good form with a PB of 1:30:20, ahead of Tor Meadow-Evans in 1:31:55. Helen Finn (1:44:20), Janet Joyce (1:58:02) and Julie Henfrey (2:21:30) completed the Ivanhoe Team.